Poet, Jo Bell was the inaugural Canal Laureate for the Canal & River Trust and The Poetry Society from 2013-2015. Jo Bell was formerly an industrial archaeologist specialising in industrial remains like mines, railways… and canals. 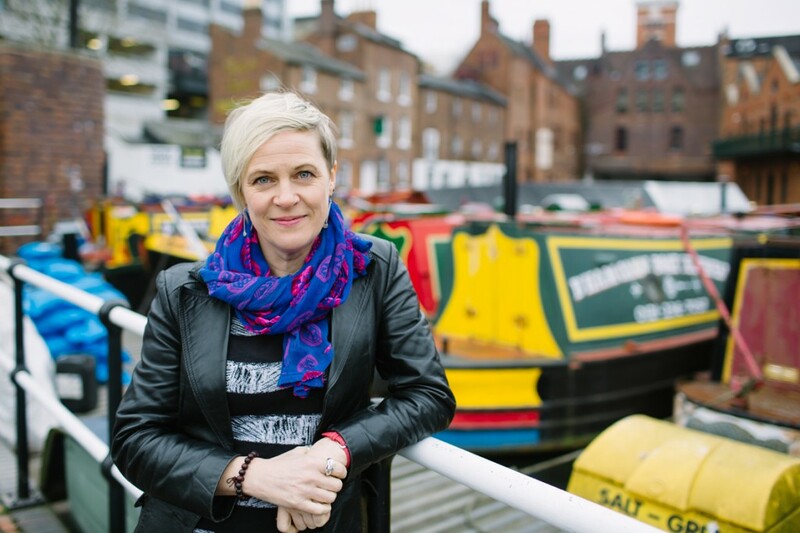 She discovered historic narrowboats and began writing poetry seriously at about the same time; and her career has since included running a fleet of historic narrowboats and acting as director of National Poetry Day for six years. Born in Sheffield, Jo grew up on the fringes of the Derbyshire Peak District. She lives on 67ft narrowboat ‘Tinker’, currently moored in Staffordshire. Her 2015 poetry collection Kith contains many of the poems written during her time as Canal Laureate. It is published by Nine Arches Press. Her first collection, Navigation includes poems of boat life and canal wildlife, and her show Riverlands with Jo Blake Cave celebrates the River Nene in Northamptonshire. Her poetry can also be seen on a lock in Milnsbridge, near Huddersfield, as part of the Locklines project.